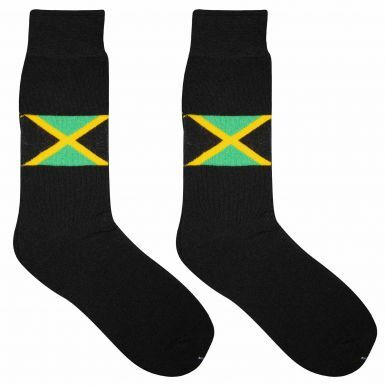 This pair of Jamaica flag socks has the Jamaican flag woven into each sock and comes in one size. Shoe size range UK 6-11 and made from 75% cotton, 24% nylon & 1% elastane. Made from 75% Cotton, 24% Nylon & 1% Elastane.